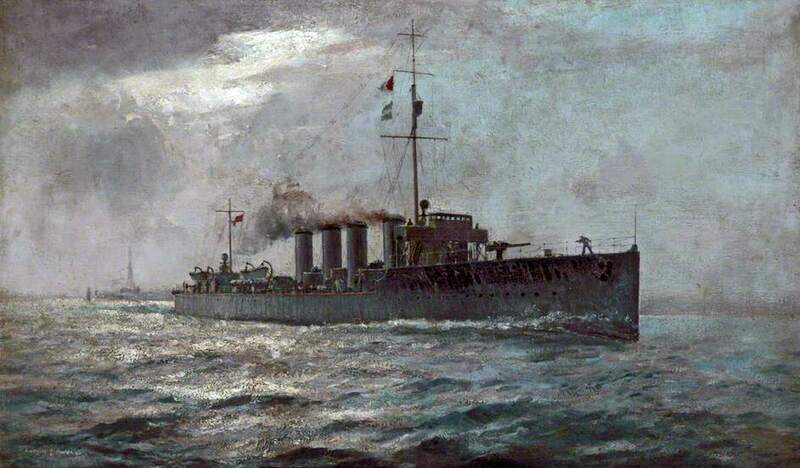 HMS Kempenfelt. Painted by Arthur James Wetherall Burgess (1879–1957). Courtesy of Williamson Art Gallery & Museum. 3 shaft, steam turbines rated at 36,000 shp.